What is currently the number one thing on your beauty wish-list? Talking conscientiously, my enthusiasm for fashion indubitably over-rules that of my enthusiasm for beauty therefore I am not as cognizant in the beauty field. Undeterred by this, I considerably cherish my Burt’s Bees Lip Balm scented with acai providing me with a further desire for alternative products by Burt’s Bees. Specifically the greatly pigmented lip-gloss in all foliage comes to mind as a result of the product’s tremendously intensive phosphoresce as well as its commendable durability. If you could interview any designer who would it be and why? Who, in your opinion, is the most stylish woman to have walked the earth (can be dead or alive)? I find this exceedingly difficult to answer. I have no response, sorry. What is one trend that you love right now? Despite the clothing items accustom focusing on extensive functionality rather than the intense pulchritude of style, cotton yoga pants are my currant ardour since I purchased a black h and m pair to use during school sport sessions. What are your pet peeves in regards to fashion? Conspicuously, I have found myself repeating antecedent points at a what-I-feel considerably bedevilling rate yet, one being the answer to this catechize. Anyway, my greatest pet peeve in regards to fashion is the occurrence of a designer brand being worn just on the account of it being a designer garment. I constantly repeat this sentence: THE OUTFIT HAS TO LOOK GOOD. Thus designer pieces should only be attired amidst the presentation of an appropriately well-favoured set rather than the utter aversion of a considerably fortuitous combination of attire. If you could attend one fashion show, which one would it be? What is your favourite scent/perfume? Subsequent to copious sniffs amongst the Boots sample counter, I highly favour that of Daisy by Marc Jacobs. What is your favourite item of clothing in your wardrobe right now? My Vero-Moda navy shift dress recently purchased surprisingly for a comic convention in the dainty ensemble of Kiki from the anime Studio Ghibli film ‘Kiki’s Delivery Service’. I thoroughly adore the vast alleviation of cable knit sweaters as well as the deeply sophisticated flannel or boyfriend shirt. Portraying quite a preppy outlook of which I possess the single belief of having a predicable affect upon my character. Who is your biggest style inspiration? Above all, Twiggy’s whimsical and audacious outlook towards fashion plays a major part when I decide what my attire will be for the day. As well as myself, I consider that Twiggy will have also concerned that of the clothing as she caused such a substantial impact upon clothing designers. As stated during my about tab, the exclusive scheme of having the capability of writing with no instructions or requirements unlike the restrictions of school pieces. 2) What is your favourite make-up or beauty item? 3) Your best fashion advice? When in doubt, turn to black. Characters in 80’s and 90’s movies. 5) What is your favourite part of the day? When 5th period ends after a remarkably repetitive school day. 6) What has been the best advice you have been giving about blogging? Never forget that you have a blog, i.e. post at an appropriately consistence of proportion to preserve your primary audience. 7) What do you hope to achieve with your blog? I aim to cause an increase in my own English and Fashion capability in addition to erudition, moreover, a developed contact with those who apportion the aforementioned interests. 8) What is your best quality? 9) What fashion or beauty item would you spend the most money on? Anything Valentino, except for anything in the new fringe collection, I deem the garments as appearing quite cheap and ghastly. To maintain a lack of the annoyingly habitual boredom of the summer holidays whilst substantially aid my English and journalism skills. Exceedingly needless to say that love is Alexa Chung and Alex Turner together. 1) What one sentence would you use to describe your blog? This blog is an intensely prevalent teen that poorly makes out to be classy. 2) What differentiates your blog from any other? Ever found a 14 year old blogger who describes jackets as imperturbable and uses the word ‘sui generis’ on a regular basis? My River Island Gold Drop Lion Earrings. 4) What inspires you to blog? My dominant yet improbable-to-occur desire of becoming a fashion journalist of a Parisian inhabitancy. 5) …and what/who inspires your personal style? 6) Simpsons, Family Guy, or “Cartoons aren’t my thing…”?? 8) On a Saturday night, would you rather bar hop in the city, attend a dinner party at a friend’s, or order take out and stay in in your jammies? 10) And last, but not least, what do you want to be when you grow up? (and it doesn’t matter how old you are!!) What’s your dream job? 3) What are you most terrified of (failing, bugs)? Shock in general, taking part in anything that can cause even the slightest bit of shock upon my-self. 4) What’s your go-to outfit on days where your running errands? Skinny Jeans with a sweater (tucked in of-course) along with the convenience of some trainers (converse, new balance). 5) Health nut or not? 6) Are you a perfectionist or a neat freak, or neither? 7) What’s your favourite store and do you shop there often? Due to living in a desolate area of England, chain high-street shops are a vast distance so I attend my favourite store at a what-I-feel too little rate, the shop being under the title of H and M.
8) Do you like Walmart or Target? I am neither included in the residence of the USA or visitors of the USA therefore have never experienced the attendance of either store. Hair Mousse, no one wants to even envision my instinctive hair without the adequate appliance of commodity. 10) Where is your dream vacation and why? Bora Bora since it screams warmth and exotic allure. 11) If you could meet anyone dead or alive who would it be and why? Justin Bieber because have a considerable fascination and love for him and that will never relinquish. I wish an immense thank you to all 4 bloggers who gave me a nomination. 1) How did you find an interest in the topic of your blog? 2) Do you prefer DVD’s or CD’s? 3) What is your favourite magazine/newspaper? 4) Do you prefer black or white? 7) Best place you have ever travelled to? 8) Who is your favourite blogger? 9) What is your guilty pleasure? 10) What is the most obscure thing you have ever tasted? 11) Is their any fashion decisions you have made which you now regret? Thank the person who nominated you for a Liebster Award and link their blog to your post. Answer the 11 questions they’ve asked you. Nominate 11 bloggers who have 200 followers or fewer for the award. Let your nominees know you nominated them once you’ve posted about your Liebster Award. 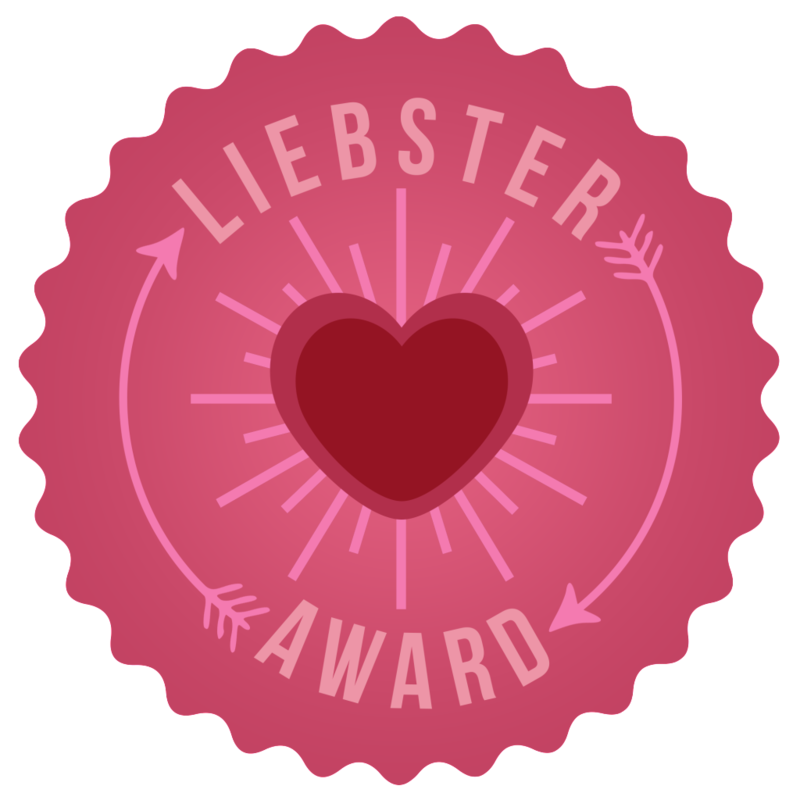 Add the Liebster Award badge to your blog! « What’s worn better by Petites?